Entire game can be copied to the hard drive. This is the default path used by the game. The save file location can be determined by the user. Uses desktop resolution. Menus are 640x480 only. Somewhere on the computer (ex. the Desktop), create a new folder called "SETUP". 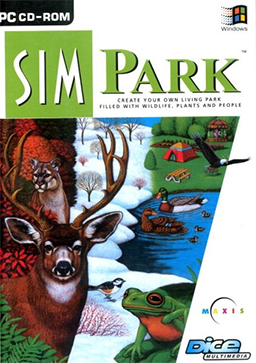 Copy the contents of the SimPark CD and paste them into the folder that was created before. When everything has finished copying, go to <Setup Folder>\SETUP and delete the SETUP.EXE file. Download the generic 32-bit installer and add it to the folder. Run the installer and follow the on-screen instructions. Once the installer has finished, go to the installation folder and run the SIMPARK.EXE file to play the game.